We all know from the card and chocolate crowd that Valentine’s Day is the ultimate time for making sweet overtures to the one we love, a chance to find respite from the deep-winter chill in the arms of another. And playing on that theme, chef Nate Meads of Fritz Pastry offers a Valentine’s Day dinner that is as sugary as it is intimate. in May of 2009, and it’s a testament to Meads’ talent that he’s been able to get the little boutique patisserie off the ground in the middle of a recession. And after more than a year and a half of excellent service to the community, Fritz has racked up a fair amount of buzz. 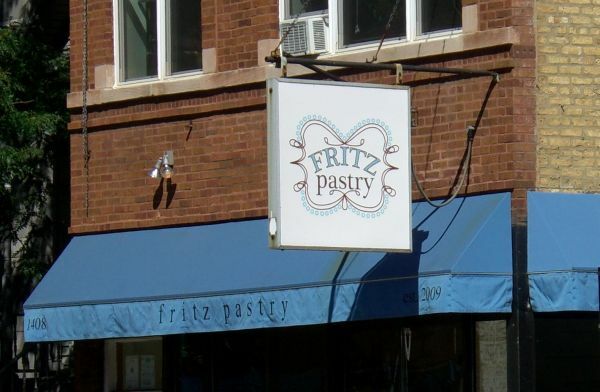 While you might have heard about their killer macarons, Meads’ favorite Fritz production is his chocolate croissant. “I tend to eat at least one a day, to keep me warm in winter,” confesses Meads. With the Fritz name secure, Meads has decided to dabble in composed dishes again, and came up with a pop-up restaurant. For one night only, on Valentine’s Day, Meads will transform Fritz’s humble interior into an intimate bistro. And wait until you hear what they’re serving: a seven-course prix fixe, including a muscular showing of five courses exclusively for dessert. Next Post Too Many Cooks in El’s Kitchen: Opening a restaurant is far from heavenly. Staying open is hell.